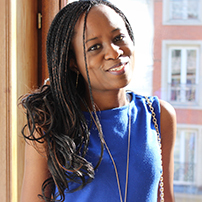 From basic scientific studies in Africa, Nicaise developed a strong passion for technology and innovation that led her to pursue Telecommunications engineering studies in France and later a career in software development and systems validation in the transportation sector in France, and Ireland where she currently works for Emovis Technologies. Involved in different causes including education for all, diversity and inclusion and communities’ empowerment; Nicaise is on the Operations board of Women in Tech Africa and currently leading the Ireland chapter. She is also the Co-Founder and Managing Director of WeCoFix, an early-stage data-driven startup that is enabling FMCG global companies to identify more efficiently untapped business opportunities. She is as well an MBA graduate, having done research on: “Workplace gender diversity and firms performance” with a focus on technology companies.